When Víctor Caal Tzuy came to the U.S. last fall to speak about indigenous peoples’ fight for self-determination in Guatemala, he ended many of his presentations by inviting people to his home to see for themselves how and why more than 50 communities have united in opposition to the Xalalá hydroelectric dam. Last month, NISGUA responded to that invitation by organizing a 10-day delegation to northern Guatemala to visit the communities threatened by the mega-dam. After a short orientation in Guatemala City, we began the two-day journey to the northern lowlands of the department of Quiché to meet with the communities that would be affected by the large-scale hydroelectric project and to visit the proposed construction site. 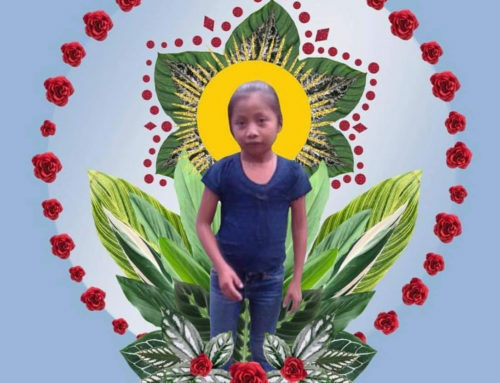 The delegation spent three days in Copal’ AA La Esperanza, a returned refugee community of about 130 families who were displaced in the 1980s by the violence orchestrated by the Guatemala state during the country’s internal armed conflict. These same families would again be displaced by the construction of the dam. Accompanied by leaders from Copal’AA, the delegation traveled up river to visit Victor’s community, Las Margaritas Copón – home to Maya Q’eqchi’ families for hundreds of years and the site of the proposed dam. We walked with families through their subsistence crops, which blended seamlessly with the surrounding subtropical forests. We smelled the richness of the earth and listened to the powerful currents of its turquoise blue waters. We gained nourishment from hand-made tortillas accompanied by beans, squash, fruits, and root vegetables, all of which came directly from the fertile plots of land where families grow nearly everything they consume. Community leaders and elders welcomed us and shared with us these experiences – experiences that made terribly tangible the enormity of the destruction and loss that would be inflicted with the construction of the dam. We met with students, community spokespeople, ancestral authorities and other representatives who came from nearly a dozen other affected communities that form part of the Association of Communities for Development and the Defense of Territory and Natural Resources (ACODET). In meetings translated at times between three languages – Spanish, Maya Q’eqchi, and English – community members explained the depth of connection they hold with the land and their model of consensus-based, community-wide decision making processes used to determine all projects undertaken in the communities. During these meetings, representatives explained that the government has strategically withheld basic services as punishment for their organizing against the Xalalá Dam, likening this intentional abandonment and coercion to structural state-sponsored violence. 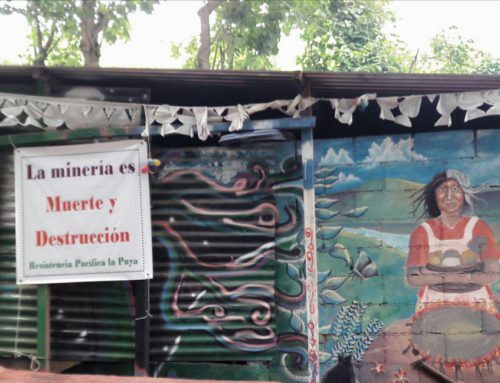 Community members denounced the egregious and ongoing efforts of the National Electrification Institute (INDE) to illegally condition future government services on the acceptance of the Xalalá Dam, falsely promising rural expansion of electricity to their homes, road improvements and supplies for local medical clinics only if communities agree to the dam’s construction. ACODET representatives and communities have also suffered more overt forms of violence. There have been 19 cases of defamation and 12 incidents of intimidation related to their resistance to the dam. 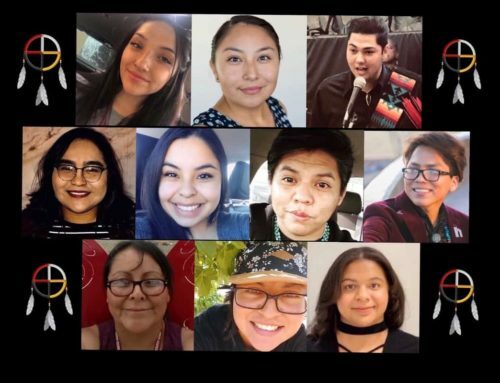 Community members explained the ways in which INDE has deliberately misinformed communities in order to create divisions amongst them, while systematically excluding communities from participating in making the decisions that impact their territory. Throughout our time in the communities, members of the delegation were inspired by the high level of organization and intentionally-held unity within and between communities in resistance to the dam and were moved to action by the calls for international solidarity – to continue to listen, to bring these stories back to North America, and to take action to dismantle the systems that attempt to take away the self-determination of all of our communities. dignity. Without electricity, we can live. Without water, we can’t. Click here for more photos from the delegation. 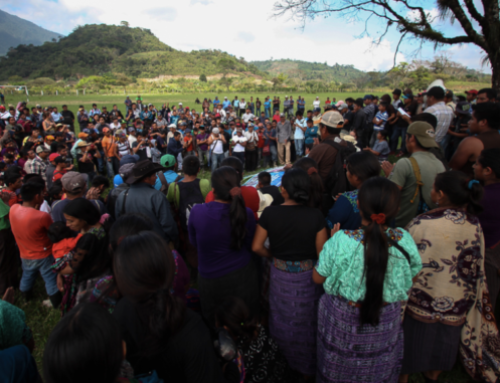 Both before and after the delegation’s visit to the communities, organizations such as the People’s Council of Tzututlan and independent journalists from the Center for Independent Media met with the delegates to provide a deeper analysis of how the Xalalá dam fits within a larger, interlinked system of mega-development projects, designed and negotiated by state and corporate interests. We visited the House of Memory, an interactive museum created by the Center for Human Rights Legal Action (CALDH) as well as the National Police Archives, to better understand the historical context of state violence and repression, the Guatemala people’s resilience, and the ongoing social movements to seek justice, to honor collective memory, and to end impunity. Through those visits, we saw how the legacy of that violence continues on in the repressive tactics of the government that currently target communities working in defense of culture, life and territory. 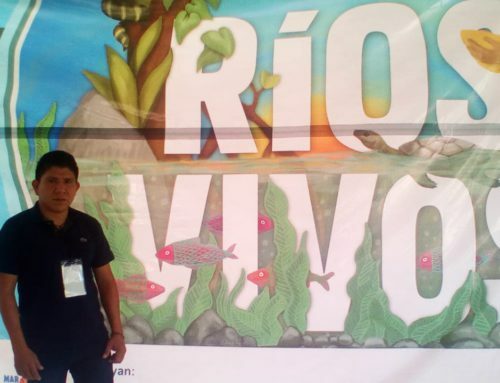 Those tactics became very present throughout the ten days of the delegation, as participants heard the news of arrests and violent attacks against leaders of the resistance to the Hidro Santa Cruz dam in Barillas, Huehuetenango and other hydroelectric projects in the country. In a very real contextualization of the human rights abuses in the country, delegates had the chance to converse with the family and friends of political prisoners that have been captured for organizing community referenda and defending their territory. Delegates also had the chance to learn about the positive projects that communities are employing as alternatives to the state’s dominant model of development. Madre Selva, an environmental justice collective based in Guatemala City, met with the delegation to give examples of communities that have successfully undertaken sustainable, small-scale electrification projects to bring energy to their homes, and where popular education techniques have been successful in supporting self-sufficiency and sustainability in rural communities. Resourced with the conversations and experiences with communities and human rights organizations, the delegation joined ACODET in meeting with the Inter-American Development Bank to raise concerns about bank funding being used to condition rural electricity expansion upon acceptance of the dam. Delegates also met with the U.S. Embassy in order to underscore NISGUA’s accompaniment in the region and highlight increasing concerns about the safety of those standing up in defense of the right to consultation and self-determination. In their first advocacy meeting, the delegation and two members of ACODET spoke with the Inter-American Development Bank (IDB). The IDB has proposed funding to bring rural electrification to communities in the departments of Alta Verapaz and Quiché, amongst others, and is awaiting approval from the Guatemalan Congress. 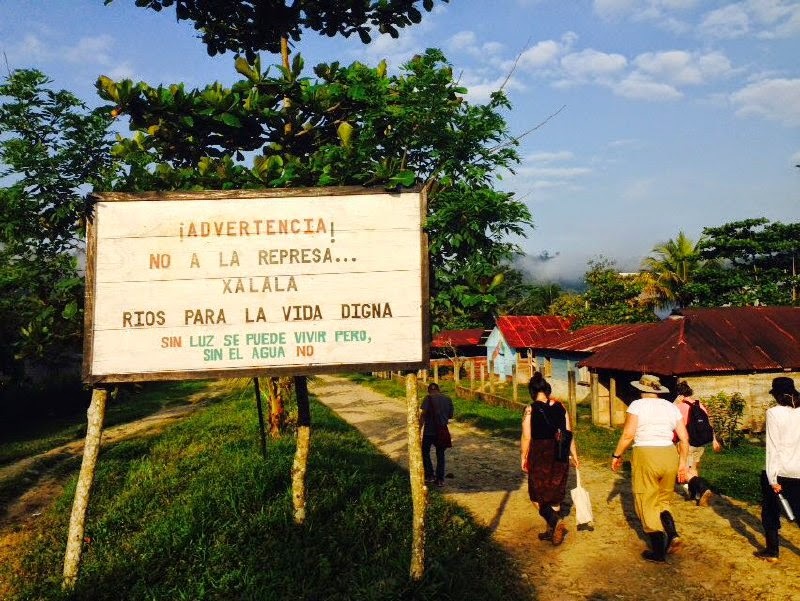 While the funding is not dependent on the construction of the Xalalá dam, community members denounce that representatives from INDE are acting as the gatekeepers to rural electrification, intentionally misinforming communities and conditioning access to electricity on their acceptance of the Xalalá dam. The bank claimed to be unaware of INDE’s actions and agreed to follow up, sharing information directly with communities. Facilitated a conversation directly between ACODET representatives and the bank in order to highlight the potential of INDE mishandling the $60 million in IDB funding destined for rural electrification. As international observers from the U.S. and Canada, two countries that hold 34% of the voting power at the IDB, the NISGUA delegation demonstrated international concern for the violation of the rights of ACODET communities and further discussed what mechanisms exist to prevent human rights violations from occurring during the implementation of IDB projects. While these official spaces are incredibly important in advocating for the rights to consultation and self-determination, perhaps more impactful are the advocacy opportunities in our communities back home. Delegates had the chance to discuss and support each other in creating plans to raise awareness and advocate for action and change in their home networks in North America. Plans for educational house parties, report-backs, art exhibitions, and article-writing all sprung into place on the delegation’s last day together. NISGUA invites everyone in our base to continue to reflect on the knowledge and inspiration we have gained from these relationships with Guatemalan human rights defenders and activists. We also encourage you to reflect on the ways to incite change and to create alternatives to the dominant globalized model that results in the exploitation, displacement and destruction of our communities and our lands.